WASHINGTON, Feb. 19, 2016 — The United States Coast Guard Reserve is celebrating 75 years of service to the nation. 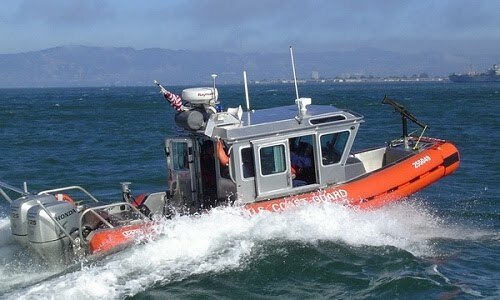 USCG reservists have served in every major conflict or crisis the nation has faced since the inception of the component, according to Rear Adm. Kurt B. Hinrichs, the Coast Guard's director of reserve and military personnel. Since the creation of the Coast Guard Reserve with the Coast Guard Auxiliary and Reserve Act of Feb. 19, 1941, its mission has remained deeply rooted in national defense, Hinrichs said. More than 200,000 reservists served in World War II. Reserve-staffed Port Security Units have deployed to Haiti and the Middle East, and continue to support maritime security efforts with Joint Task Force Guantanamo. About half of the reserve force deployed after 9/11 for homeland security missions, Hinrichs said. Reservists served from 2002 to 2014 on teams that worked with U.S. Army personnel in Iraq and Afghanistan to inspect shipping containers, he noted. Reservists are the Coast Guard's "force in garrison" who have supported domestic missions such as the response to Hurricane Katrina, Superstorm Sandy, and the Deepwater Horizon oil spill, he said. "The Coast Guard Reserve could not be the ready, reliable surge force on which the nation relies if not for the hard work and dedication of each and every one of its 7,000 members," he said. "In turn, they could not continue to answer the call if not for the unwavering support of both their families and their employers," he added. The highest-ranking enlisted reserve member, Coast Guard Reserve Force Master Chief Eric Johnson, said he is continually impressed with the highly skilled force. Reservists strengthen the Coast Guard with their dedication, commitment, valuable outside experience and diversity of thought, Johnson said. Reservists and their families make many sacrifices to serve the nation, he said. The serve in a variety of rates, including boatswain’s mate, food service specialist, gunner’s mate, health service technician, public affairs specialist, and marine science technician. "I am thankful for everything they do and the way they do it," he said. "The excitement and energy that they put into being members of the Coast Guard Reserve, it's always a pleasure to see it." Senior Chief Petty Officer Marguerite DeMartino, a public affairs specialist, was among the thousands of Coast Guard Reservists called up for duty following the Sept. 11, 2001, terrorist attacks. DeMartino, who has been in the Coast Guard Reserve for more than a quarter century, said it has been a fulfilling experience to serve her community and nation. "I lived my dream," she said.